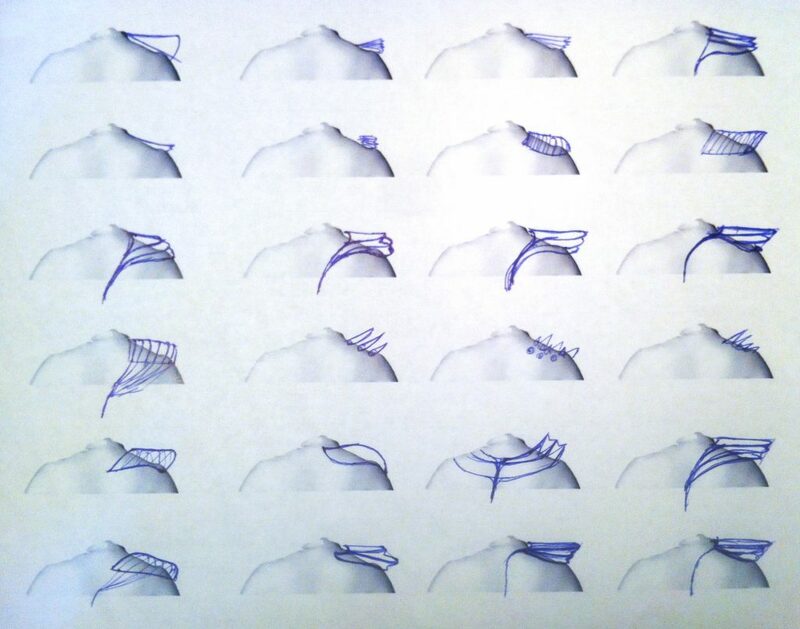 Lea Albaugh‘s Clothing for Moderns is an investigation into the use of “soft” actuators in couture electromechanical clothing. Borrowing from established textile techniques, using materials that are native to wearables, and focusing on processes that can be done by hobbyists, the project explores a possible vocabulary for wearables beyond surface ornamentation and rigid structures. In content, the project takes a couture/design fiction approach of providing overwrought solutions for highly-mannered contexts: for example, a dress for avoiding social interactions at a cocktail party. “Clothing for Moderns” was produced in summer and fall 2014 during a residency at the Frank-Ratchye STUDIO for Creative Inquiry, with support from the Art Works program of the National Endowment for the Arts, and the Frank-Ratchye Fund for Art @ the Frontier.